JP 2015-07-01 ¥1,200 ×2 ? JP 20xx ¥1,200 ×2 ? 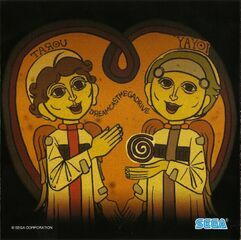 Segagaga 5 Original Soundtrack (セガガガ 5 オリジナルサウンドトラック) is an album containing tracks from Segagaga. The album was made available as a digital download on iTunes and Amazon in 2015, with the two discs sold separately as "Vol. 1" and "Vol. 2". Individual tracks cost ¥150. EN: Advance With Your Best Friends!